With 9 levels of cover, we offer piece of mind against loss, damage or theft of your most important wedding items. Peace of mind for your big day abroad. See FAQs for more information. We strive to ensure that we’re among the best wedding insurance providers in the UK, offering an impressive 9 levels of cover and highly competitive wedding insurance quotes. Our policies start at just £19.44 and cover you for weddings in the UK and abroad. As a one-off cost, we’re sure you’ll agree that it’s a small price to pay for protection and peace of mind. What does our wedding insurance cover? We offer wedding insurance quotes and policies that cater for a wide range of budgets. We offer Public Liability cover as standard and our flexibility and exceptional customer care truly leads the way. Don’t believe us? 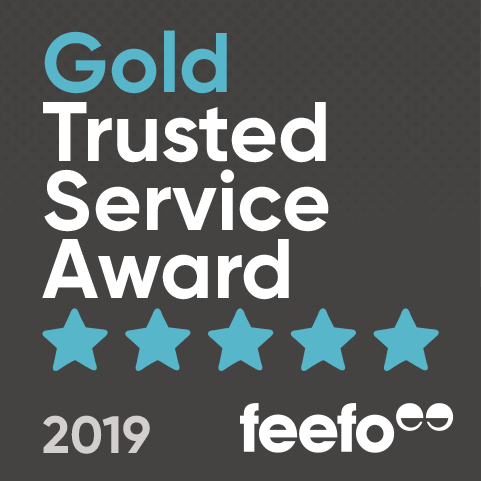 We’re a Feefo Gold Trusted Service and have received awards for being the best wedding insurance provider from Insurance Choice. Our wedding insurance covers you for cancellations or rearrangement if a supplier, your venue or even extreme weather causes you to cancel. So don’t worry about deposits or rescheduling... if it’s not your fault our policy is designed to give you peace of mind. We cover the loss, damage or theft of important wedding items such as your cake, flowers, attire, transport, gifts and more. Our insurance even covers ceremonial swords as standard: perfect for military and religious wedding ceremonies. Sharing your marriage with loved ones is an essential part of your celebrations. If a close relative becomes ill or injured and can’t attend, our wedding insurance can cover you for rearrangement of the big day. All of our wedding insurance quotes cover both UK and overseas weddings – with no additional premium (Geographical restrictions may apply). 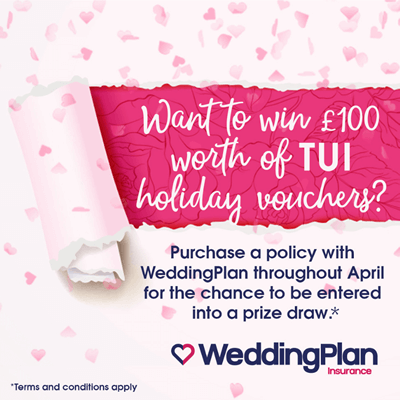 Our wedding insurance policies also cover you for up to 2 ceremonies and 2 receptions, which is great news if you’re getting married abroad but still want to celebrate back home!